Amrita University invites interested candidates to seek admissions in Mass Communication and Journalism. The application form has been released for the same. It can be filled online on the official website. The fee for the form is also payable online. Amrita University offers admissions in BA Mass Communication, MA Communication and Post Graduate Diploma in Journalism which are for 3, 2 and 1 year respectively. The exam for BA CAP is to be held on April 17, 2019 and for MA and PGDJ CAP is to be held on May 16, 2019. 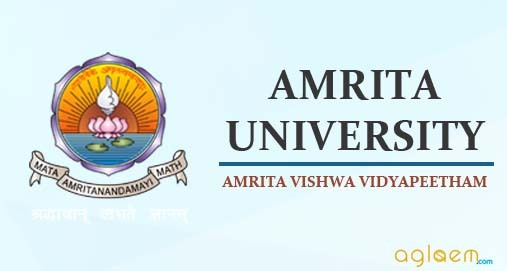 Check complete details about Amrita University Mass Communication and Journalism Entrance Exam 2019 from this page. Latest: The exam date of BA CAP Test has been rescheduled. Scroll down to check the same. Interested candidates must go through the prescribed eligibility criteria and the important dates before applying. Once the result is out, selected candidates will be called for an interview. Upon qualification of the interview, candidates will have to deposit the fee and commence with the classes on the allotted dates. Check complete schedule in the given table. Candidates are advised to go through the information released officially by the university to ensure that they fulfil all the eligibility norms laid down by the university. We have listed a few criterias for both the undergraduate and postgraduate courses offered by the university for the reference of the candidates. Candidates should have cleared their 10+2 examination with an aggregate of minimum 50% marks or they should have any equivalent qualification that is recognized by the Association of Indian Universities, New Delhi. Candidates who have completed their education from foreign universities should obtain an Equivalence Certificate from the Association of Indian Universities, New Delhi. Visit www.aiuweb.org, for applying online for Equivalence Certificate. Candidates will be granted admissions in Amirta University UG communication courses once they have successfully appeared and cleared the stages listed below. 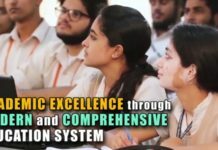 Candidates must have cleared their graduation examination or have completed their education in the 10+2+3 system from any discipline recognized by the Association of Indian Universities. Candidates must have cleared their qualifying examination with a minimum aggregate of 50% marks. Candidates who have completed their education from the foreign universities are required to obtain an Equivalence Certificate from the Association of Indian Universities, New Delhi. Note: Candidates who have scored more than 70% aggregate marks during the first two years of their degree will be exempted from the CAPTEST. However, they will have to appear for personal interview round. The online registration for admission in both the undergraduate as well as the postgraduate courses has been available in the online mode on the official website. The submission of the application form is however in the offline mode. Candidates will have to send the duly filled application form along with the necessary documents and the application fees before the last scheduled date to register themselves successfully for the examination. Candidates are requested to keep the following details in mind while applying for Amrita University Mass Communication and Journalism Entrance Exam 2019. Candidates are requested not to submit Multiple applications. If the candidate submits multiple application forms they will be rejected. Students are required to send the DD along with the application form. An application form without a demand draft with automatically be rejected. Once the application form is finally submitted by the candidate change in the application form data is not allowed. The list below comprises of all the documents that the candidate has to submit along with their application form to successfully complete their registration procedure. 10th and 12th Std Mark Sheets if applying for the B.A. courses. 10th and 12th Std Mark Sheets and Mark Sheets for all semesters of the Bachelor’s programme if applying for M.A courses. The candidates will first have to download the admit card for CAPTEST from the official website. In order to download it, the candidates will have to enter login details like registration number and password. The admit card is an important document, which the candidates should carry on the exam day. CAPTEST is an aptitude test designed to evaluate students based on their interest, aptitude and potential for adapting to a professional communication course. 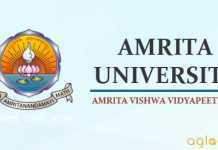 The selection of the candidates in Amrita University Mass Com. is done on the basis of CAPTEST scores. The sections in the CAPTEST question paper differ according to the discretion of the CAPTEST examiners. However, the topics covered always include Current Affairs, Logical Reasoning and English Grammar. Previous year CAPTEST Model Question Paper is given below.